Besiktas – Monaco predictions, betting tips and preview 01 Nov 2017 – The Monegasques are cornered and will do everything to win! Besiktas – Monaco predictions for UEFA Champions League match at Vodafone Park, Istanbul. The guests are strong enough to take points. Read on for live streaming info and our free predictions. Do you want to watch live streaming of Besiktas – Monaco and bet live? Go to bet365 Live Streaming and place winning bets! The first round of the group stage has become a real disaster for the Monegasques, who were considered the top contenders for the first place in quartet G, but after three games they are last with just one point. There are still nine points in play and theoretically, the French side still have not lost their chances for the playoffs, although to become second chances a bit. After the meeting in Turkey, Monaco will play at home with Leipzig and in the last round will compete with Porto on the road. In any case, there is only one task for the Monegasques today – to win this clash, as any other result will leave the French behind. 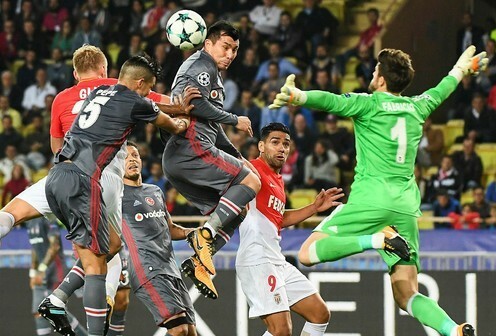 Despite two home defeats in the Champions League, it cannot be said that Monaco are in crisis or experiencing serious difficulties, because they won their last two games in Ligue 1 confidently. Besiktas managed to win all three games in the Champions League, but at the same time, they have some modest results in the national championship. On this weekend, the Black eagles grab their first win since September, to which there were four unsuccessful rounds. The Turks have obvious problems in the defence, because they have conceded in 9 out of 13 matches this season. Monaco have a solid offensive line and obliged to take advantage of the hosts` problems.